When visiting Sequim it’s hard to choose what activities to include. There’s so much to do in our beautiful corner of the Olympic Peninsula. However, Elizabeth Rose perfectly highlights the best of Sequim in her wonderful article “5 Reasons You Must Visit Sequim Washington.” Of course she begins with the mild, sunny weather we enjoy year-round, and we couldn’t agree more with her reasons to come out for a visit. After exploring the many charms of our town you may never want to leave. Savor mouthwatering Dungeness crab dishes at the 17th Annual CrabFest, October 5th to 7th. This delicious festival takes over the waterfront of charming Port Angeles. The event is free and invites visitors to “Embrace Your Inner Crab” with an array of food, activities and live music. 14 local restaurants offer samples of their culinary creations. Also learn new techniques from celebrity chefs at the cooking demonstrations or sample the entries for the Chowder Cook-Off. In addition to great food, sample some local beer, wine or cider. Enjoy the live music while perusing the craft and merchant vendors. Active festival goers can join the 5K fun run along the Olympic Discovery Trail, Saturday, October 6th at 11:00am. Or try something new during the rowing demonstrations on Hollywood Beach 3:00 to 5:00pm on Saturday. The festival is a fun way to explore the beautiful Olympic Peninsula. Bring your appetite and sample all the tasty seafood choices. Try a variety of dishes or purchase tickets for the festival dinner. The dinner includes a steamed or chilled whole Dungeness crab served with Nash’s organic coleslaw and Sunny Farms’ corn on the cob. Discover diverse seafood meals cooked to perfection by local restaurants while exploring the festival. The Cedars at Dungeness elevates grilled cheese, poutine and poppers with tasty Dungeness crab. And Sequim’s Sunny Farms offers a Dungeness quiche in addition to pumpkin, blackberry and apple pies. Jamestown Seafood raises and harvests Sequim Bay Jades, Sapphires and Opal oysters. Enjoy their raw oysters on the half shell along with geoduck sashimi and ceviche. Port Angeles restaurants also show off their seafood creations. Twilight fans will want to try Bella Italia’s Dungeness crab cakes, sandwiches, and shooters. The Port Angeles Crab House offers creamy Dungeness Crab mac and cheese and their signature coconut prawns. For the best fish and chips or a steaming bowl of seafood gumbo, stop by the Kokopelli Grill booth. Sergio’s Hacienda & Cantina serves spicy fish tacos, enchiladas and shrimp ceviche. Toga’s Soup House will warm your bones with a rich Dungeness crab bisque and Northwest clam chowder. Take the festival home with you with the “Crab To Go” packages. 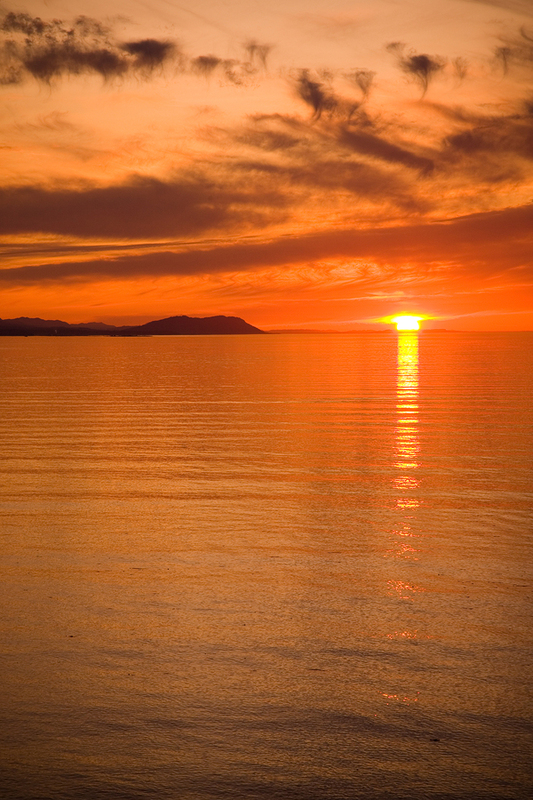 However, after strolling the festival with stunning Olympic mountains and waterfront views you may not want to leave. Residents of Sequim and Port Angeles enjoy the bounty of the region’s pristine waters and lush farmlands year round. Our agents at Schwab Realty are experts in the Sequim and Port Angeles neighborhoods. Contact us today to find your perfect home in this beautiful corner of the Olympic peninsula. Pilots gave Sequim the nickname the “Blue Hole” because it resides in the Olympic rain shadow. The average annual rainfall is only 17 inches and most days are sunny and mild. Therefore residents can enjoy the outdoors year round. The summer days average a pleasant 72°F and winter days stay around 42°F. The great weather makes it easy to take advantage of Sequim’s beautiful setting and many recreational activities. 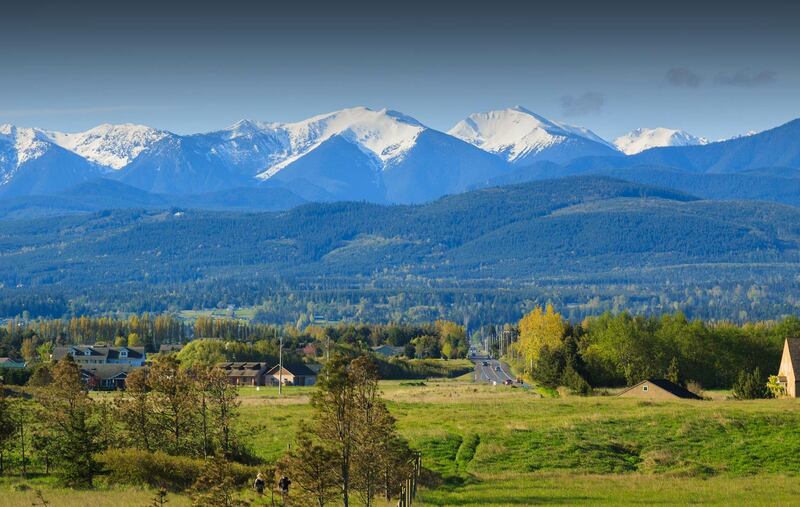 Sequim is surrounded by a diverse, breathtaking landscape that includes mountain ranges, miles of beautiful coastline, and idyllic pastoral farms. The majestic snow capped Olympic Mountains tower in the distance. While the Olympic National Park’s network of hiking trails are a short drive away. Alongside Sequim’s gorgeous shoreline the Strait of Juan de Fuca shimmers in the sunshine. Making the waterfront the perfect place to watch spectacular sunsets. 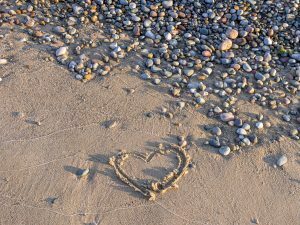 Sequim also boasts the longest natural sand spit in the United States. The remarkable 6.8 mile long Dungeness Spit is a beautiful place for observing wildlife. 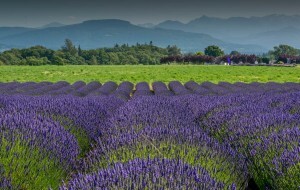 However, Sequim is most famously known for its rolling lavender fields. Every summer the Dungeness Valley explodes with the glow of purple flowers. Sequim’s excellent weather and diverse natural setting make it a great place for almost any outdoor activity. 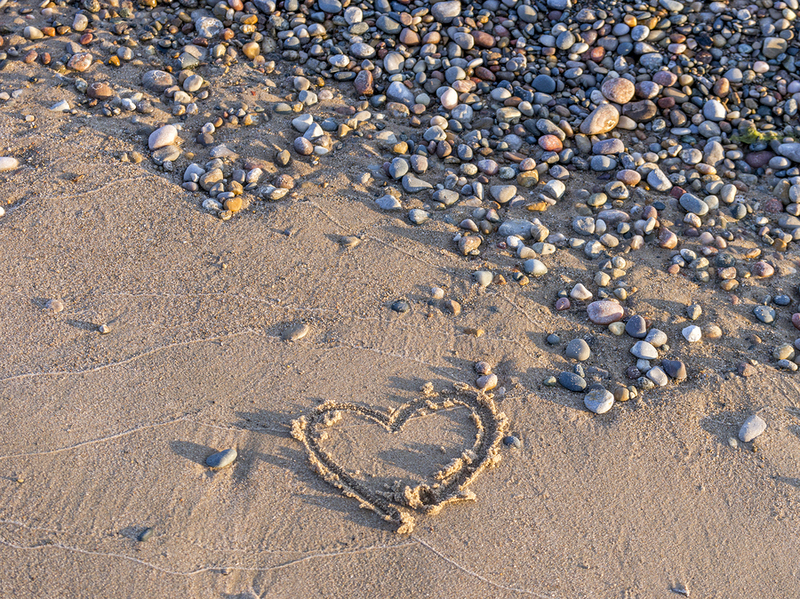 Residents treasure the beautiful coastline and love to go boating, fishing, kayaking and swimming. Hikers also have a myriad of choices from tranquil forest trails, to windswept beach walks and challenging mountain hikes. 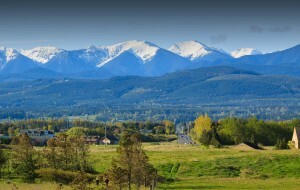 Sequim is also a wonderful walking and biking town with a charming downtown to explore. Not to mention easy access to the 130 mile long Olympic Discovery Trail. This amazing biking trail rolls through picturesque farmland then parallels the gorgeous coastline for miles. 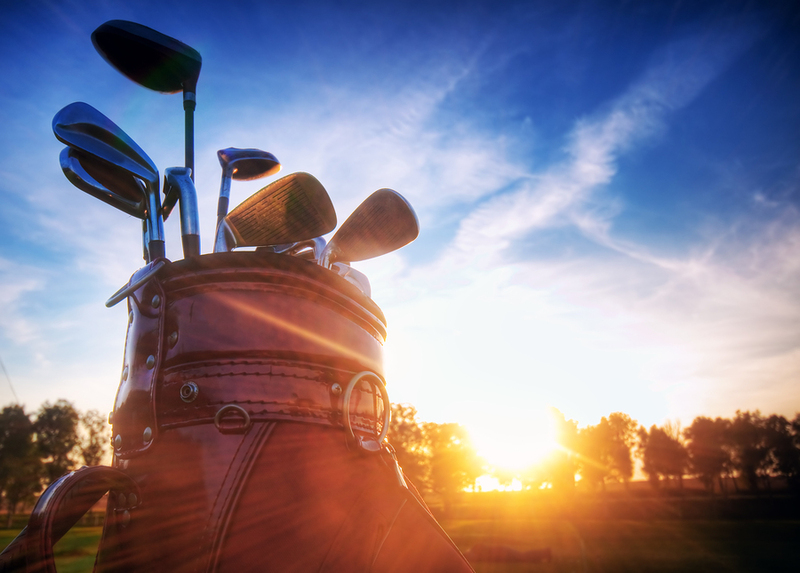 Of course golf is a very popular activity enjoyed year round in Sequim’s ideal weather. Likewise many pilots call Sequim home and appreciate the perfect flying conditions the “Blue Hole” offers. Sequim has a warm and welcoming community with many opportunities to meet and socialize with neighbors. The lively downtown has great shops, cafes, galleries, and restaurants. The community holds regular events like art walks, a farmer’s market, local theater shows and concerts. Additionally, there are clubs for every interest from birding to biking. Regular festivals also bring the community together to celebrate. Most notably are the Lavender Festival, Irrigation Festival, Olympic Peninsula Birdfest, Air Affaire, and Riverfest. When choosing a place to retire affordable housing is a top priority. Surprisingly, this beautiful, active community has very reasonable housing prices. The median home value in Sequim is around $244,000 and Washington has no state income tax. Add a low local property tax and it makes for a very comfortable place to retire. Simply put, Sequim is a great place to retire. The beautiful landscape, wide choice of recreation and great community make it a paradise for active adults. That coupled with a affordable cost of living makes the choice clear. Contact our amazing staff at Schwab Realty and we’ll find your dream retirement home. Tune up your bike cycling enthusiasts and get ready for the 2018 Tour de Lavender in Sequim Saturday, August 4. Experience the amazing scenery during this event perfect for beginner and expert cyclists alike. Routes include stops at the world-class lavender farms of the Sequim-Dungeness Valley. In addition to the brilliant purple fields of fragrant blossoms, cyclists bike through a serene landscape with stunning views of the Olympic Mountains. The tour also connects to the Olympic Discovery Trail that opens up to sweeping views of the Salish Sea. Cyclists return every year to bike the exceptional beauty of the Olympic Peninsula at this fun summer event. The Tour de Lavender, now in its 5th year, represents a partnership of the Sequim Lavender Farmers Association and local bike groups. The event not only showcases the gorgeous natural setting around Sequim, it raises funds to maintain the Olympic Discovery Trail and the programs of the Olympic Peninsula Bicycle Alliance. These organizations are working together to promote bike safety and foster a cyclist-friendly community. Hundreds of cyclists flock to Sequim each year for this popular event. Casual cyclists and families enjoy a 35 mile loop called the “Fun Ride”. This ride goes through 8 lavender farms along quiet roads and also connects to the Olympic Discovery Trail. While the “Metric Century” offers a more challenging 62.5 mile bike ride. This path includes 9 lavender farms and fantastic Olympic Mountain views. Once it links to the Olympic Discovery Trail with no cars allowed, cyclists can relax and enjoy the breathtaking scenery. Join the “After Party” celebration from 2:00 to 6:00 for some well deserved refreshments, music and a chance to win great door prizes. Afterwards the celebration continues at the many great restaurants in Sequim’s charming downtown. Visitors discover what Sequim residents already know, there’s no better community for cyclists. Contact our agents at Schwab Realty to explore this bike friendly town and find your future home. Run a marathon this summer with stunning water and mountain views. The North Olympic Discovery Marathon (NODM), happening this June 2nd and 3rd, is an incredibly scenic course. The race begins at the 7 Cedars Casino in Blyn, connects to the Olympic Discovery Trail, then weaves through Sequim’s Bay State Park and downtown. After crossing the Dungeness River Railroad trestle bridge, the trail opens up to sweeping farm and mountain views. And the last five miles runs along the shores of the Salish Sea until the finish line at Port Angeles City Pier. In 2017, this gorgeous course drew more than 2,000 runners from 36 states and six countries. Runners of all levels and ages are welcome and there is an event for everyone. Join the marathon or cheer on your athlete as they go through downtown Sequim or meet them at the finish line festivities in Port Angeles.